The Full Moon on Tuesday December 13 2016 is at 22 degrees Gemini. The Full Moon December 2016 astrology contains some challenges with Saturn bringing some bad moods and distance in relationships. However, the December 2016 Full Moon is far more complex than that, with many more positive aspects than challenging ones. Together, they form a Mystic Rectangle configuration suggesting tension and conflict, but also ways to resolve that conflict. Even greater complexity comes with seven fixed stars aligning with this last Full Moon of the year. In a similar way to the Mystic Rectangle, these stars suggest some arguments and disharmony but also a peaceful resolution and good fortune. Like all Full Moons, the major planetary aspect is Sun opposite Moon. Along with the conjunction, this is the most important of all aspects in astrology. A Full Moon focuses your attention on relationships of all kind. A Full Moon itself has a relationship to the previous new moon. Projects you started since the November 29 new moon can now be fine-tuned or completed, it is harvest time. A Full Moon can also be seen as an emotional adjustment, or complement, to the themes of the previous new moon. As the lunar qualities of emotions and instincts reach their peak at a Full Moon, you can take an objective and balanced look at your personal relationships. Being in touch with your own needs and intentions, and those of others, you can clearly see any relationship imbalances causing disharmony. The influence of a Full Moon lasts for two weeks up to the next new moon, in this case the December 29 new moon. The December 13 Full Moon at 22°25′ Gemini gets very complicated to describe interpret because of the number of planetary aspects, fixed stars and constellations involved. The Moon makes three major planetary aspects to form a complex aspect pattern called the Mystic Rectangle, suggesting conflict but also resolution. Full Moon December 2016 also falls in the busiest few degrees of the sky for astrologers. There are seven fixed stars within range of the Full Moon, from four constellations. Most of the stars are big first magnitude stars with orbs over two degrees. Together they make this a fortunate Full Moon and reinforce the idea of a peaceful outcome. To keep things simple, the full moon is opposite Saturn as shown in the Full Moon December 2016 astrology chart below. However, I urge you to read on beyond this fairly morbid forecast because the Mystic Rectangle and fixed stars show you how to turn any initial despair into some exciting opportunities for growth and happiness. Full Moon opposite Saturn can make you feel sad, bored or lonely. Difficulty in sharing your emotions can lead to distance in relationships. Conscious awareness of this depressing influence will help you avoid longer term serious consequences such a separation, simply because of a bad mood. You could feel burdened or guilty about responsibilities for someone much older or younger than you, like a child or grandchild, parent or grandparent. You will probably be feeling sorry for yourself but the worst thing to do with this Full Moon is bring others down by guilt tripping or moping around the house. Jupiter opposite Uranus complicates those depressing feelings by exaggerating your need for personal freedom and excitement. You will feel a strong urge to react, or rebel against anything that is stopping you from having fun and doing what you want. There may be a sudden event that releases your built up tension and leads to a major change in circumstances. The more restricted you have felt, the more upsetting this change is likely to be. Looking again at the Full Moon December 2016 astrology chart you will see a tense red cross enclosed by calm blue aspects. This neat figure is called a Mystic Rectangle aspect pattern. The high energy oppositions produce a lot of tension, activity and conflict. The harmonious aspects bring a resolution to any conflict but can also mask an unsettled inner nature. This cool exterior may fool others into thinking you have it all together but don’t fool yourself. Recognize or admit the source of your red inner tension and use your blue talents to resolve them. The red oppositions have already been discussed and now everything that follows is the good stuff to lift you out of any crazy mood. Full Moon trine Jupiter gives a warm fuzzy feeling. Having virtually the opposite effect of Full Moon opposite Saturn, it makes it easier to share your emotions with loved ones. Intimate relationships will benefit from more openness and honesty. New relationships started after Full Moon December 2016 will be based on these same genuine qualities. Mutual respect and understanding can lead to very successful personal and business partnerships. In this case, Saturn will tend to act as a glue, bringing committment and loyalty. Full Moon sextile Uranus brings stimulating encounters and exciting events. You will feel more open to change in your life and may actively seek it out. Uranus will help break the limiting chains of Saturn, allowing you to try something new in your domestic routine or personal life. Follow your gut instincts and make the most of any opportunities that some your way. You might receive flashes of insight to solve lingering problems in an instant. Jupiter sextile Saturn favors cautious expansion with many opportunities for growth will be on offer. You can rely on sound judgement skills to choose only those opportunities that are right for you. These opportunities may be in your career, through investment or business deals, or in your personal life as major material possessions or relationship choices. Patience, perseverance and a strong work ethic mean you are most likely to succeed now. Saturn trine Uranus makes this a Full Moon phase of transition in your life. This is the ideal time to make positive changes in your life because they should run smoothly. Change will not be upsetting or erratic as it sometimes can. You will remain calm and patient, planning every step methodically. You can find new days of doing old things without rocking the boat. You could take the lead in your career to initiate needed changes and gain respect and recognition from your boss. It will be easy to observe Full Moon December 2016 in relation to the fixed stars and their constellations. 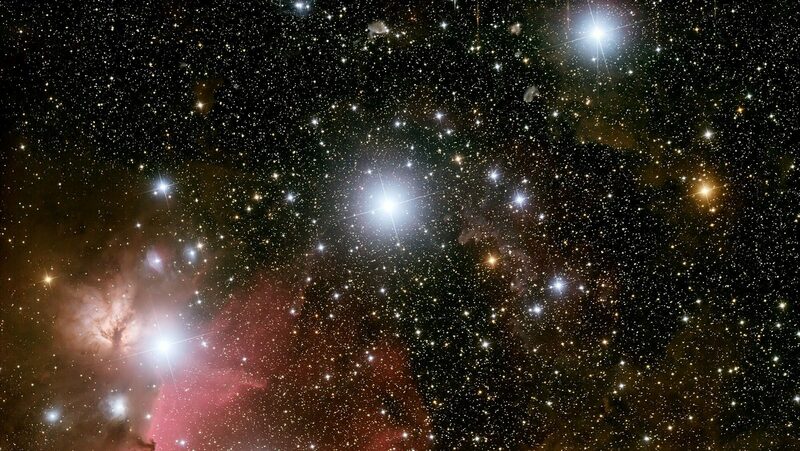 Being closest to the Northern Horn of the Bull, you will be able to plot a straight line from Capella in the north, through Bellatrix then the Belt of Orion in the South. The seven fixed stars I mentioned earlier are listed in a table below. While all of these stars are within orb of Full Moon December 2016, only the closest two behind the Moon are worth mentioning. They will have a much greater influence compared to the others, not only because of the closeness. It much easier to manifest the good qualities of a fixed star that a planet has already passed over. One thing all of the major fixed stars near the Full Moon have in common is that they bring good fortune. Fixed Star Phact in the Dove brings peace, good news, kindness, hope and good fortune. There us an appreciation for form and rhythm, with artistic talents and a touch of genius and mediumship. Fixed star Capella in the Charioteer gives honor and wealth. People with this star prominent in their charts enjoy eminence and renown, with a public position of trust and eminent friends. It makes you careful, timorous, inquisitive, with a love of learning and research. Capella is also known to make people somewhat odd, with a fascination of novelties. Full Moon with Capella can make you inquisitive and talkative. However, indiscreet speech, sarcasm and a quarrelsome nature can lead to conflicts and domestic disharmony. Full Moon opposite Saturn brings melancholia and coldness to relationships. Boredom and bad moods can be exacerbated by a need to break free and have fun from Jupiter opposite Uranus. Fixed star Capella with the Moon increases the chance of arguments because of gossip and nasty words. Together, these two oppositions and the fixed star suggest a lot of tension building to arguments and conflict with your loved ones. Initial conflict is also what to expect with the Mystic Rectangle aspect pattern. However, there are twice as many harmonious blue aspects than challenging red aspects in this configuration. The two personal aspects to the Moon will lighten your mood and help break the gridlock in arguments. The two longer lasting aspects ensure that common sense prevails. New agreements will bring lasting, positive change. The strongest conjunction to the Full Moon is fixed star Phact by a mere 0°01′ orb. The Dove brings peace, kindness and good news. If Full Moon December 2016 directly impacts your horoscope decan you can read about its effect in your monthly horoscope. This full moon conjuncts my Venus in the first house…would appreciate your take on this aspect! Hello Jamie, This full moon is on my Venus 22 degrees in the 8th house of death /other peoples money. This has already been quite a year for money worries, does this full moon mean more of same, or a respite? Thank you if you have the time to reply. Hi Jaime, I know this is an old event but just wondering if you could shed some brief light on the situation for me as I’m sure the theme will be lasting throughout 2017 in my personal astrology. I’d like to know how this Full Moon with the North Node in Pisces and South Node in Virgo would apply to me moving forward in life if my Natal North and South Nodes are exactly opposite…i.e. I have a Natal North Node in Pisces and South Node in Virgo? ?﻿ To add to this I have my Rising in Virgo (Sun Scorpio, Moon Aries). I get the feeling I’m meant to let go on all things related to Virgo here and now and to move towards a more Pisces / Scorpio nature and way of life? I just don’t get why there’s so much Virgo in my chart……. If you could give me any brief words of wisdom and your interpretation I would be so appreciative.